Meat is animal flesh that is eaten as food. Humans are omnivorous, and have hunted and killed animals for meat since prehistoric times. But the advent of civilization allowed the domestication of animals such as sheep, pigs and cattle, and their use in meat production on an industrial scale. 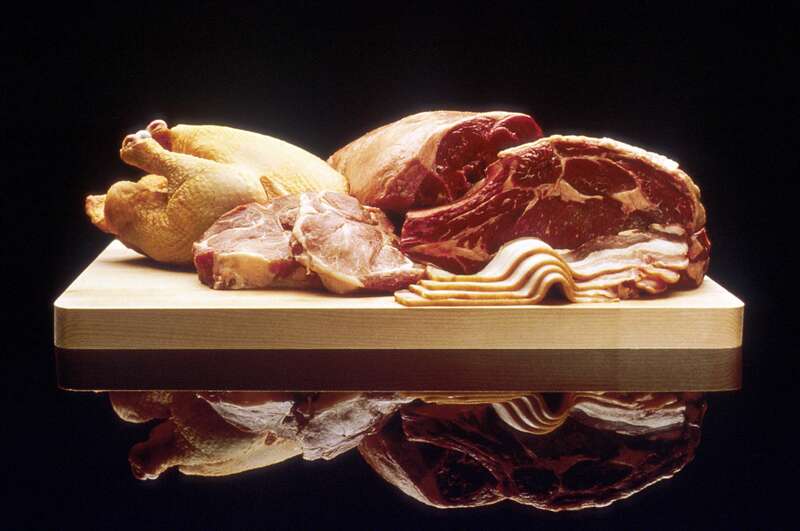 Meat is mainly composed of water and protein, and is usually eaten together with other food. It is edible raw but is normally eaten cooked and seasoned in a variety of ways.